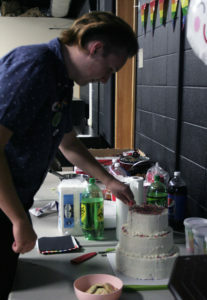 On Wednesday, Aug 29 in the Trojan Center Underground, the Alliance had their annual welcome party, the Rainbow Welcome. 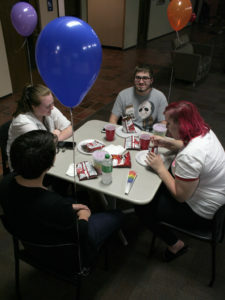 With food to eat, music to listen to, and prizes to win, anyone and everyone was invited to join in on the fun. had a lot of people sign up as potential members as well as handing out fliers so that everyone who didn’t stop at the table would know who they were. 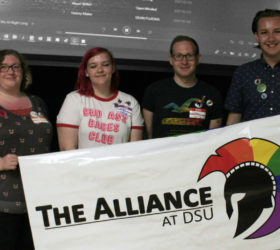 This year, the Alliance is trying to make more of a name for themselves on campus, and Sept 24-28, they will have an Ally Week table to show their support against LGBT harassment. In October, they play the Rocky Horror Picture Show, going full out with a newspaper, sliced bread, and playing cards. (Confused? Go to the show to find out why.) In the Spring, they do a Rainbow Bake sale and a Drag Show. Welcome to Music at DSU!